A recipient of the Nobel Prize for Literature, who has been living in Europe for decades, accepts an invitation to receive a prize. 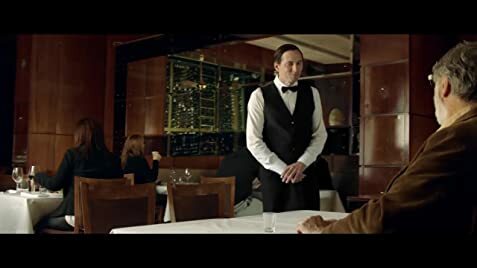 In Argentina he finds both similarities and irreconcilable differences with the people of his hometown. A small incident over two neighbors common wall sparks a conflict which affects the intimacy of the view over the chimney; the protagonist sparks a conflict and with paranoiac obsession destroys everyday life. Each member of this family tries to endorse someone else to care for the old Mother. A man finds a very unusual way to get rid of his wife. A trip to the depths of Argentina. Roasting is a meal and a ritual. It is primitive and contemporary, wild and refined, an art and a science. The asado with greater originality the essential features of national identity. After sawing a couple of movies form the same director, I knew I was going to enjoyed this movie. The smart script and performances will transport you deeply into it. It will not only make you laugh and cry, furthermore you will think about the irony that is between the lines. 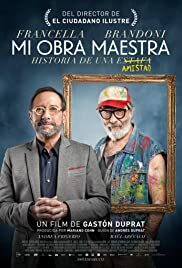 Is not needed to be an Argentinian to understand the sarcasm, the main argument and criticism of the film is inherent in the visual arts world.